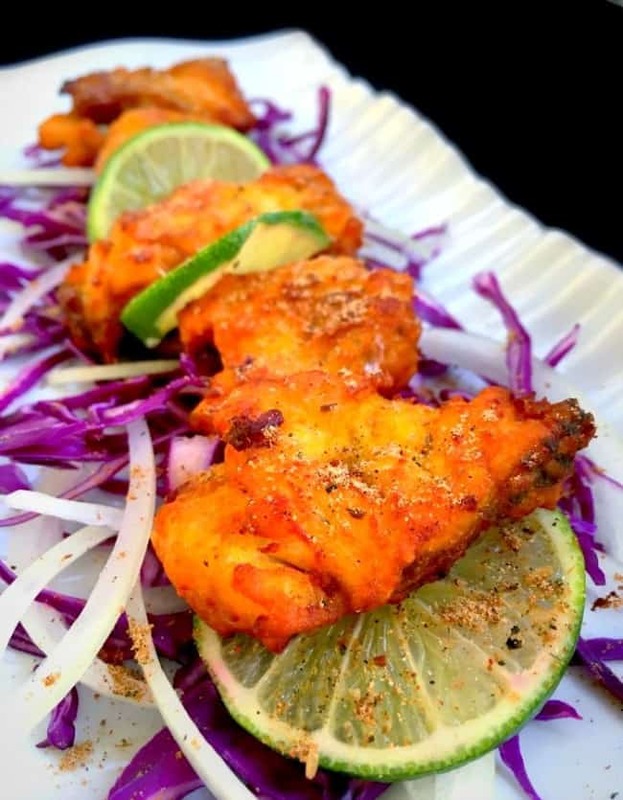 Tandoori Fish Tikka: Fingerlicking good, lemony and filled with flavor. The Tandoori Fish Tikka is an extremely popular dish from the northern part of India. This recipe is made in the kitchen oven and doesn’t need any special grill or equipment. It was a fun family vacation with cousins, which means along with all the site seeing, shopping, eating, we had endless conversations. This was our first trip to Dubai and I was super excited to see the beautiful city and also taste some amazing mix of cuisine (Arabic, Persian, Moroccan and Lebanese). I’ll definitely do a separate post about the food and beautiful places we visited there. 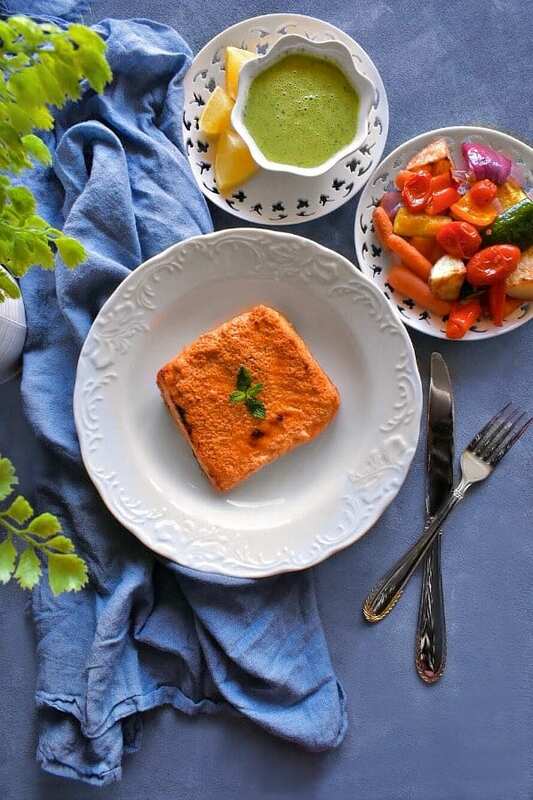 Now, before we go ahead and talk about this Tandoori Fish Tikka recipe, don’t you agree that when we come back from any trip away from home, you just want to eat your favorite Comfortfood!!! And literally after unpacking, all I did was quickly get some fish, marinate it in the Tandoori spices and made ourself this Fish Tikka. It’s an extremely easy recipe that can be made any day of the week and perfect for weekend brunch. 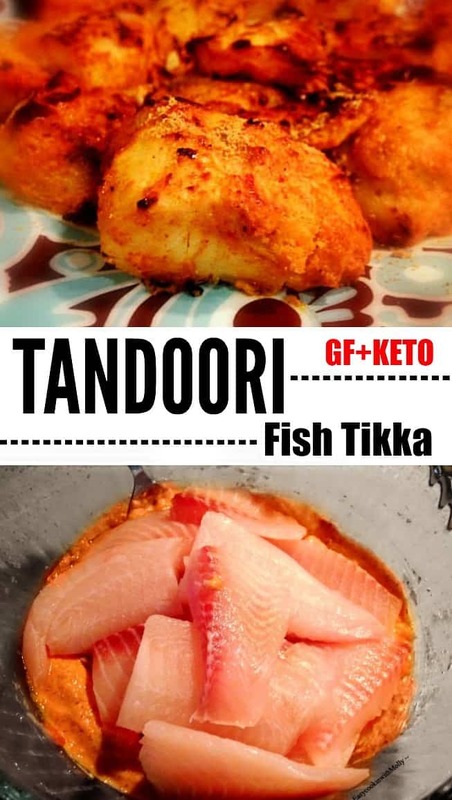 I love this Tandoori Fish Tikka recipe even more as it can be even made in a kitchen oven and totally #Glutenfree too. 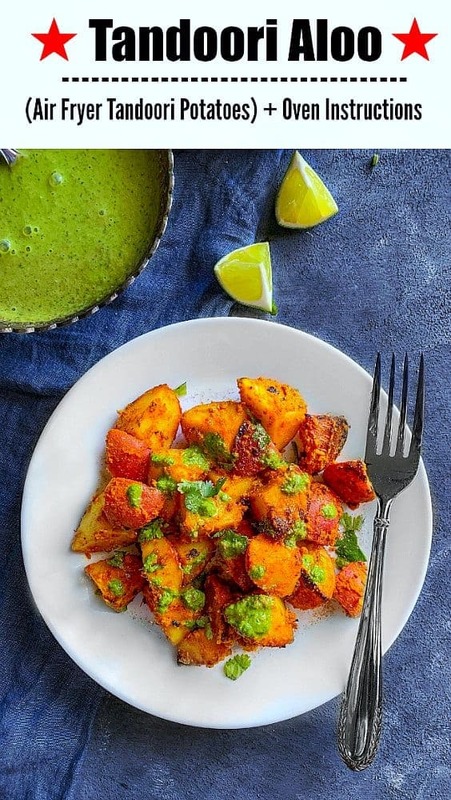 This dish is extremely popular all over the world because of its light lemony taste and slightly spicy flavors. The fish is usually marinated for a couple of hours and cooked in a clay oven or Tandoor as they are called in India. Now for many of us, we don’t have clay oven at home, so we’ll use the good-handy countertop oven or built-in-oven for this recipe. 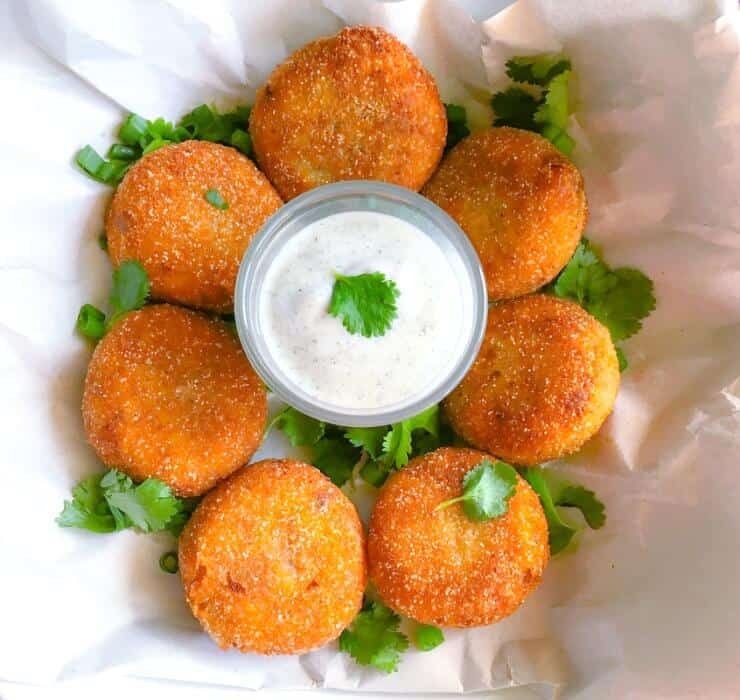 It’s also a Perfect recipe to try indoor on hot days when you don’t want to fireup the grill but still want something nice and grilled/Tandoori. To give the fish it’s golden char on top, we need to broil the fish once it’s almost cooked. Simply follow the broiling instructions below for achieving the same. If you have extra time on hand, I would suggest to marinate the fish for longer (2-3 hours) or over-night if you have the time. This helps the fish to soak the flavors evenly. Tandoori Fish Tikka: Fingerlicking good, lemony and filled with flavor. The Tandoori Fish Tikka is an extremely popular dish from the northern part of India. 8 Tilapia Fish Fillet – You can use any other fish of choice. In a large bowl, add all the marinade ingredients and whisk to a smooth paste. Now add the powdered spices and whisk everything evenly. Add the fish fillet to the marinade, using your hand evenly coat both the sides. Remove the marinated fish from the fridge and place them evenly with some gap on the lined baking tray. After 15 mins, set the oven to broiler setting . Place the cooked fish on the top rack of the oven and broil for 3-5 mins or till you achieve the desired charred look. (Please keep an eye as every oven is different and too much broil will burn the fish). Remove the broiled fish from the oven (Now orange red in color with charred marks). 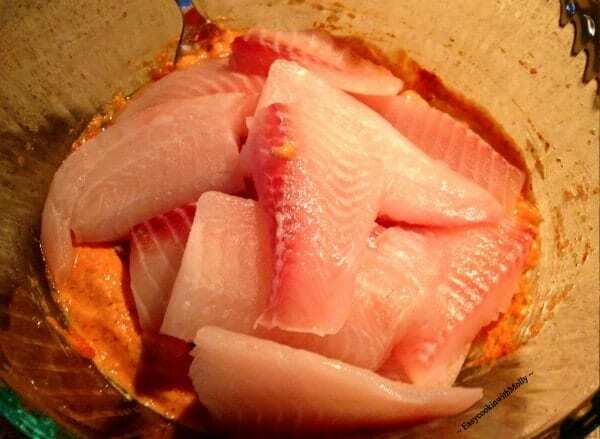 Place freshly cooked fish on serving tray, sprinkle evenly with lemon juice and some cumin powder. 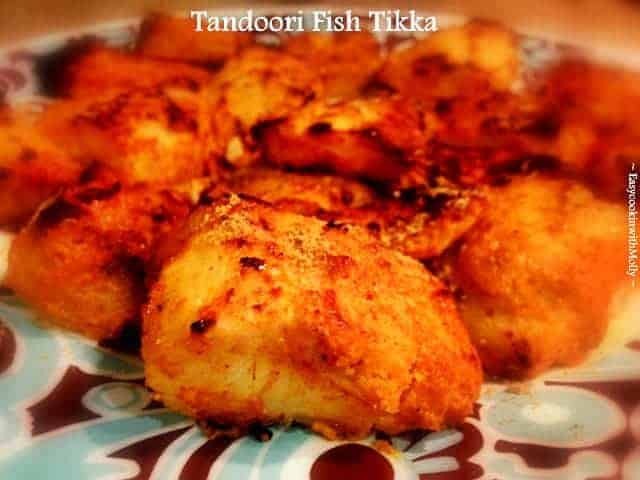 4 Replies to "Tandoori Fish Tikka (Made in Oven) - #Glutenfree #Tandoori"
This looks great! If you don’t have ginger paste and garlic paste, what do use? I have them in powder form?